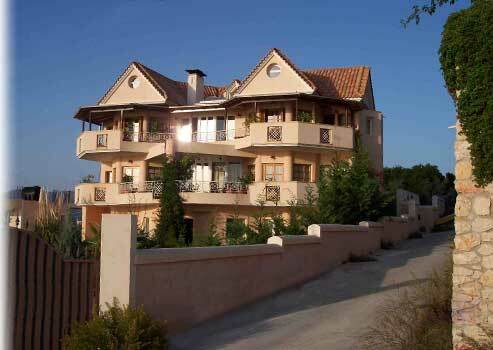 Helmata Villa is situated outside of Argostoli on top of a hill overlooking the port of the capital. The villa was custom-built to the highest standards of design and workmanship, using only the best materials. Special features of luxury and elegance include cool marble floors in the entrance hall, kitchen, living and dining areas, laminated parquet floor in the bedrooms, granite worktops in the kitchen, and high quality sanitary ware. Intended to blend in with the surrounding environment, the villa was traditionally designed and coloured, with pitched tiled roofs and pergolas in the barbeque and garden areas.